My fascination (or as those close to me would say “my obsession”) with cars goes back a long way. As a kid, I had a collection of dinky toy cars and often doodled car sketches on my notebooks during those bored moments in school. Remembering back, I seem to recall most of the shapes I sketched were of sweeping coupes with graceful lines and long bonnets. A bit like a Jaguar E-Type 2+2 or an Aston Martin DB7. I guess I fancied myself as a car designer in those days, dreaming that one day I would build one of my sketches. But unfortunately my skills with the pencil wouldn’t have caught the attention of Pininfarina or Bertone. So I had to make do with my doodles, dinky cars and a handful of Burago models. As a kid of the 80s and a teen of the 90s, my bedroom walls were adorned with posters that completely defined the era of excessive supercars: two red Ferrari F40s, a white Lamborghini Countach, a black Porsche 911 Turbo, a red Lamborghini Diablo and a blue Lotus Esprit SE Turbo. All were iconic cars of that era, stupidly fast and just a bit mental, with the Lotus Esprit probably being the most “sensible” of the bunch. They were the ultimate dream machines that graced the bedroom walls of many a car obsessed boy. Of course, I was aware of classic cars and had a smattering of a few classic 50s and 60s Ferrari posters. These included a Ferrari 330p4, Ferrari 365 GTB/4 Daytona, Ferrari 250 Le Mans and a Ferrari 246 SP. 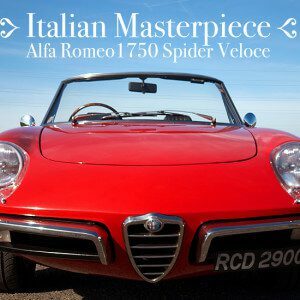 Looking back I realise I had chosen some of the most iconic models the Italian marque had ever made. But for some reason they didn’t really register on my radar in a sense that they didn’t make me go crazy for classic cars. I just remember liking the shape of each model. I guess growing up in the middle of the countryside in Ireland in the 1980s did limit ones access to the outside world somewhat. And of course there was no internet (god how did we cope back then?!). My passion for cars was always there, bubbling under the surface. But I never really got the chance to indulge it. Owning a classic car never crossed my mind and it was some time before I was able to finally take the plunge. 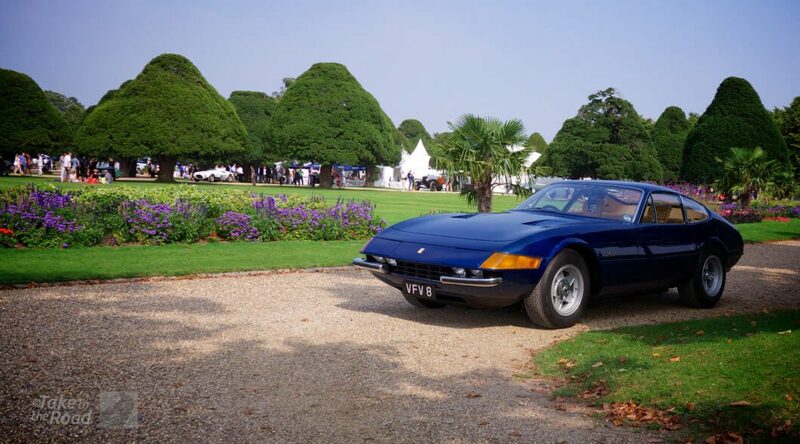 So what was the moment that swung the pendulum towards classic motors? The tale begins with a wedding. To cut a long story short, a friend was getting married and needed a wedding car, the couple asked me for advice on what to get (because I was a car expert apparently). I dutifully began my internet research for a suitable wedding car and quite by accident, stumbled upon the classifieds site “carandclassic.co.uk”. 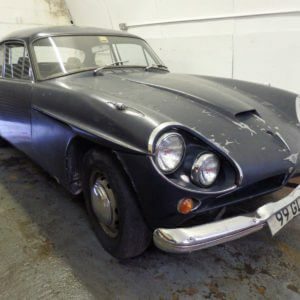 Having usually confined my car searches to sites like Autotrader and eBay, I suddenly found myself browsing through a whole other world of nostalgic motoring. 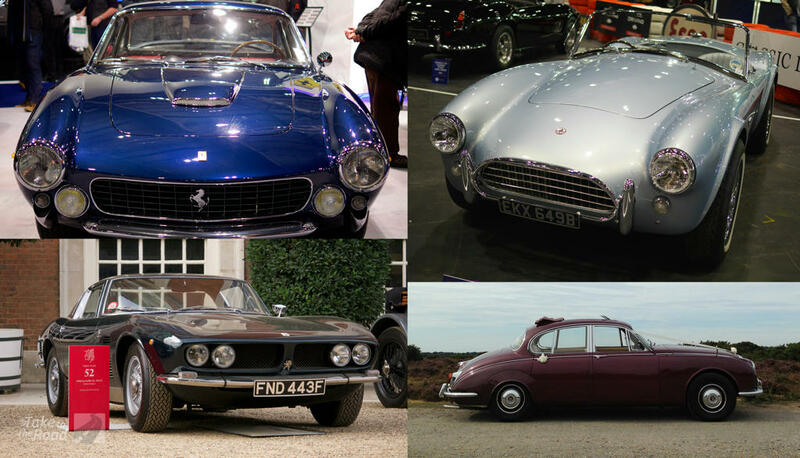 I was discovering previously unheard of car makes such as Cisitalia, Cord, DeSoto, DeTomaso, Iso, Jowett, Peerless, Rochdale… the list was endless. And then I stumbled across a late 1970s white Rolls Royce Silver Shadow 1 for a mere £4,500. I was gobsmacked. A whole Rolls for under £5k? Surely not! As I began to scan through other marques I was surprised at the wide range of classics that could be had for £5k or less. And so began the hunt to find myself a classic car. Months of browsing and research followed leading me to view a 1972 Bentley T1 with a webasto sunroof and a smart Caribbean blue paint job. I was in my element. I’d never seen a Bentley T1 before, never sat in one and never thought for one second I could ever own one. I thought to myself “I’m going to own a classic car!” The deal didn’t happen however as the timing wasn’t quite right. Plus I couldn’t actually drive the car as the garage doors were nailed shut! So I walked away. I eventually bit the bullet and bought a nice maroon Daimler V8 250 with a cream leather interior, webasto sunroof and an automatic Borg Warner transmission. I’d finally done it! The Daimler was a pleasure to drive and had a wonderful and addictive V8 burble. Everywhere I went it got looks and waves and quite a few “oh look its the Inspector Morse car” comments. Looking back I now realise buying the Daimler was my “oh god what have I started” moment. Its purchase thrust me full on into the classic car world and I have loved every single minute of it since. I started attending car shows and was pleasantly surprised that people were genuinely interested in my car. And it was great meeting other owners and talking to them about their cars. It was a fun and eye opening period of ownership. I have since moved on to a Bertone x1/9 Gran Finale which offers a completely different driving experience to the big 1960s V8. Small and nimble it is huge fun to drive and has given me a glimpse into some of the great cars Fiat have made over the years. It is this difference, this diversity of experiences that one can have with a different model or marque that I find both fascinating and exciting. And that one “oh my god moment” has lead me on a path that ended up with establishing “Take to the Road”. It’s amazing the affect owning a classic car can have on you. From the top left; Ferrari Lusso, AC Cobra, Iso Grifo and my old Daimler V8 250. Classics with grace, style and presence. So for me, the fascination/obsession with the classic car scene is more than just nostalgia for the golden era of motoring. It’s about the passion and skill that was poured into these cars, many often shaped by eye or a few strokes of a pencil… moulded in clay, wood or wire frames before being transferred to an aluminium, steel or fibreglass form. Just look at the lines of an Alfa Romeo Tipo 33 Stradale, Ferrari Lusso, AC Cobra, Iso Grifo, Triumph Italia or a Fiat 1500 Vignale. The style, simplicity and beauty of these designs speaks volumes for the skills of their designers. As a driver its a sense of being able to feel close to the actual mechanics, of being able to actually drive a car without having your actions interpreted and translated by a computer. And finally, nostalgia does indeed play its part. It’s a fascination with a mechanical slice of history and the past, a slice we can grasp every time we take the wheel and take to the road.